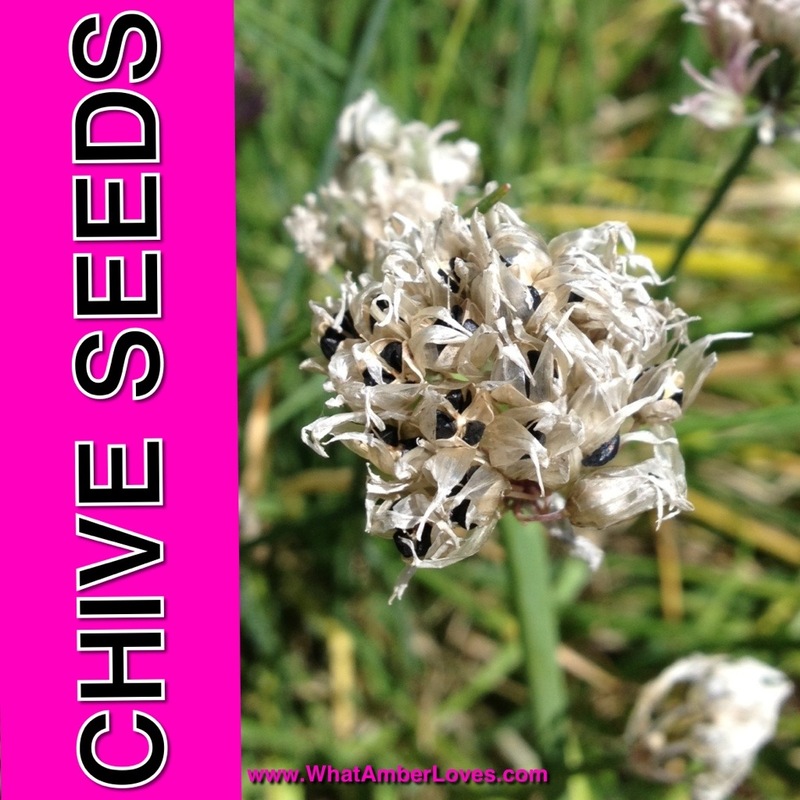 If you’re new to seed saving, Chives are a great seed for beginners to save! As soon as the chives begin blooming, hopefully you’ll see lots of bee activity! The flowers are great on salads, but if you refrain from eating all of the CHIVE flowers, you’ll enjoy lots of seeds for future planting! Here in Zone 7, even in a container, my chives behave as perennials. They lay flat and lose some color during a hard winter, but dependably send an abundance of new stalks up each spring! Even though I have plenty of chives, I enjoy saving the seeds, since it so easy. Chive seeds are great to bake into bread, take to seed swaps in the spring, give to friends, or make new little plants in pots as gifts! So many uses!! 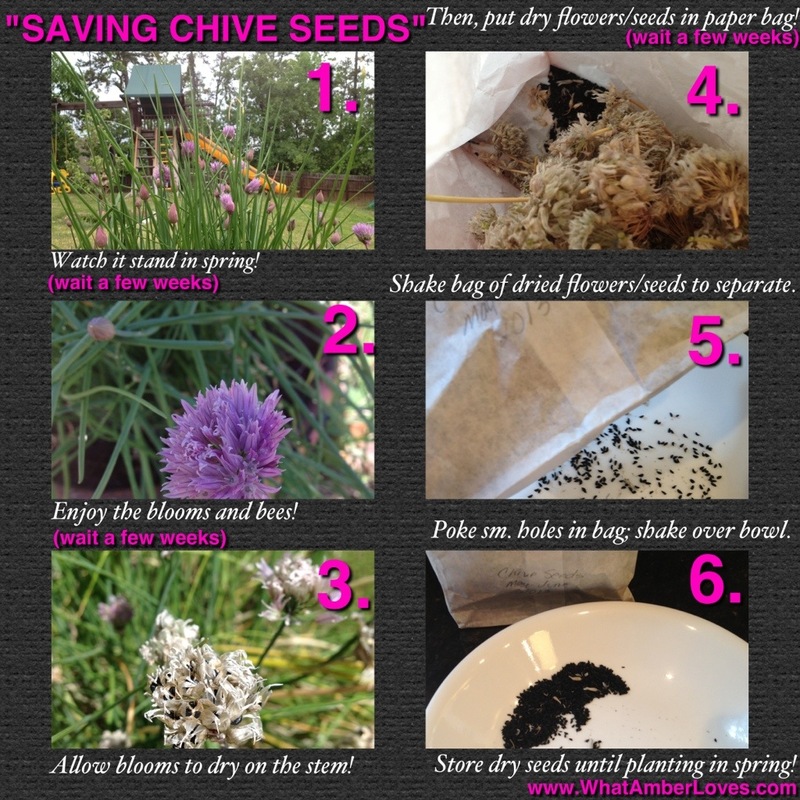 Here is photo that shows how I save chive seeds in a few easy steps! Wait for flowers to dry on the plant. Place in paper bag and put it somewhere away from direct sunlight. Shake the bag, allowing seeds to fall out of dried flowers. Shake out the tiny seeds into a bowl.